In some cases, we might want to store Boolean value in database as "Y/N" or "T/F" instead of "1/0". This is to increase human readability and better support across different databases because different databases could store Boolean value in different data types. JPA does support the "Y/N" or "T/F" as Boolean value with the help of @ObjectTypeConverter annotation. We just need to annotate the entity class with this annotation. Example below shows the converter to convert "Y/N" to Boolean (true/false). All 5 attributes are occupied, now what we need to do is simply provide values to all the attributes. It is always changes on database tables' fields during development. For normal approach, we probably update the database schema first and follow by the entity (both are manual process). Now, there could be alternative by JPA provider (either Hibernate or EclipseLink). When the JPA provider detected change(s) on entities, it will update database schema to compliance with the working copy of entities. The purpose of this post is to show how to test a JPA project whether it is properly setup. Besides, this solution can be used to test a newly created/generated entity as well. The concept is quite simple, simply create a java class with main(String args), in the main method, create database connection and then execute a select statement. If successfully select records from database, that's mean the JPA project is properly setup. 1. Create a new package called test in the project. 2. Create a new class called JpaTest in the test package. 3. Write the following codes in the main(String args) to test. This post shows how to configure the JPA project about its' persistence properties after entities successfully generated in a JPA project. Before we start to configure our JPA project, first we must decide which JPA implementation to use. There are two(2) popular JPA implementations, which are EclipseLink and Hibernate. Once the preferred JPA implementation installed, then we can start to configure the persistence properties. and here is the list of PrimeFaces 3.3.1 components tested on different version of browsers. This article is part of the CVS Team Synchronization with Eclipse. The objective of this article is to show how to share a new project into CVS with Eclipse. 2. R-click on the Eclipse that is going to share into CVS. This article shows how to connect to CVS server with Eclipse as the CVS client where CVS client already pre-installed in the Eclipse bundled, we just need to configure and use it. 3. Click on the Add CVS Repository icon. In Eclipse, we can backup our project by exporting a project in workspace to a Archive file. 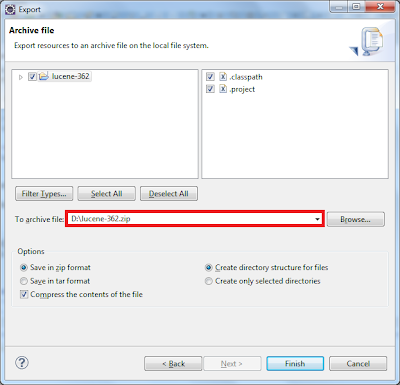 The Archive file can then import back to our or our teammates workspace. 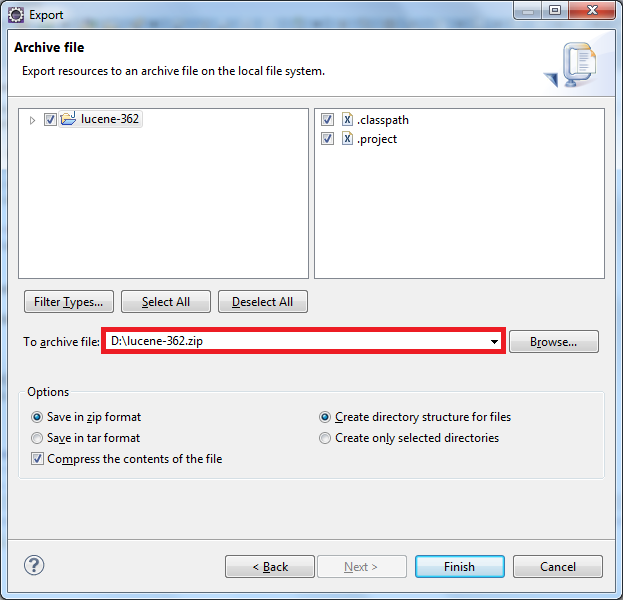 Following are the steps How to export a project as an archive file, then import the archive to another workspace. 2. Choose archive file location > Finish. This post shows how to build a custom JSF regex validator to validate Credit Card number with Facelets. There are different types of Credit Cards, the regex used to validate different types of Credit Card are vary with the types of Credit Card. For more information about Credit Card Regex, please refer here. so now let's start to build the Credit Card validator. This post shows how to build a custom JSF regex validator to validate email address with Facelets. Building email validator with Facelets is very easy if compare to building email validator with JSF component classes. Regex here could be changed to any desired format. 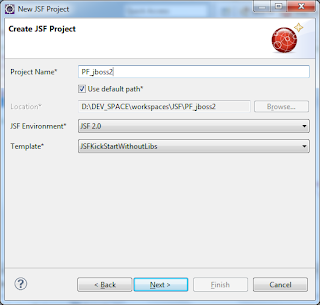 This post show how to quickly setup a PrimeFaces project with the help of JBoss Tools. 1. 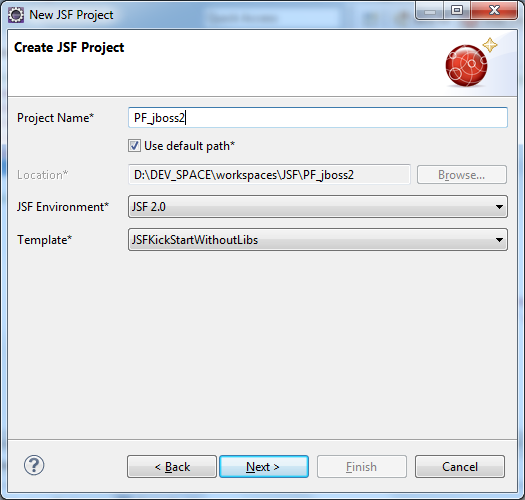 JBoss Tools Eclipse plugin has been installed. c) select JSFKickStartWithoutLibs for Template (to quickly start the application). When we are creating PrimeFaces Portlet in Liferay, the version of PrimeFaces used is actually depends on the Liferay Plugin SDK. Anyway, we still can upgrade the PrimeFaces version with few simple steps. This is important to make sure we get the latest update from PrimeFaces.